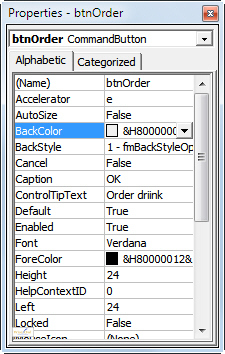 The Properties window allows you to make changes to any aspect of a form or its controls. 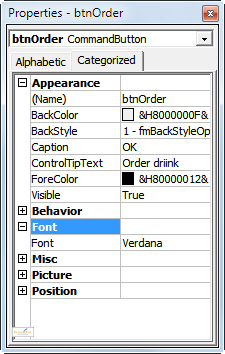 Choose the menu option shown to display the Properties window. 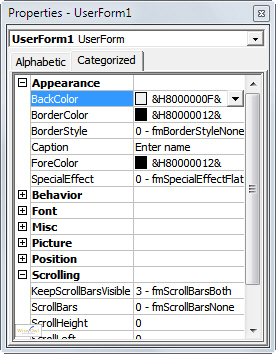 Click on the tool shown to display the Properties window. I'm not sure I have any recommendation, but the rest of this blog will always use the Categorised (or should that be Categorized?) view. 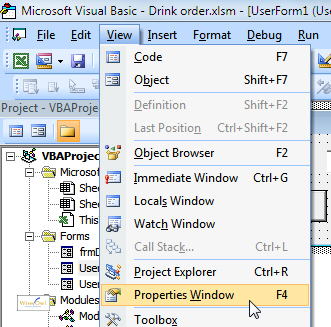 Having learnt how to display the Properties window, you next need to learn how to select controls.